Tri-States meetings are the third Thursday of the Month, generally held at the Equine Medical Center at Morven Park in the Library. Check the website for changes. All are welcome to the meetings. The club presents the active business for discussion or vote. 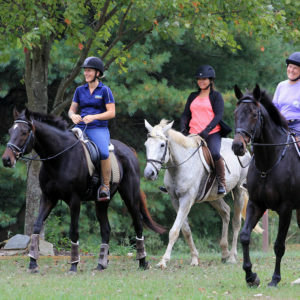 Often there is a guest speaker (horse related of course), and the new Lesson Schedules are released so members can sign up for lessons during the meeting. Tri-State’s meetings are fun and informative. Attending gives members an opportunity to participate in the direction of the club, get first dibs on lessons, and also attendees have an opportunity to win a free lesson as each meeting is concluded with a drawing for a lesson.